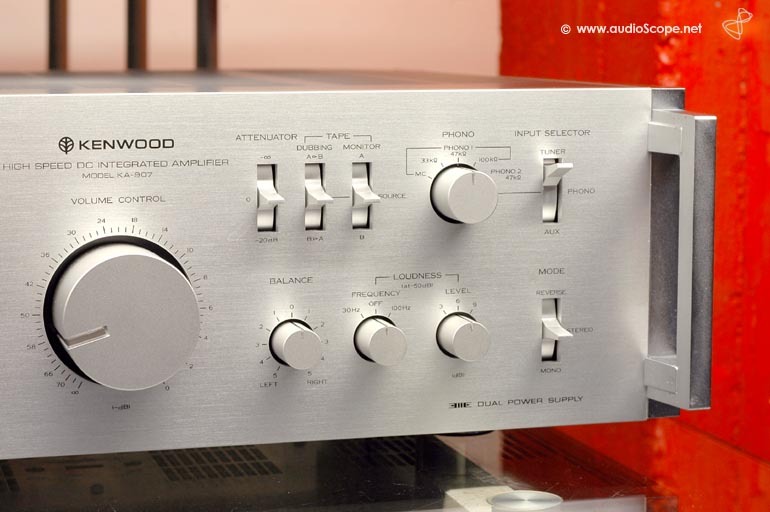 This is the matching High End Amplifier for the legendary Kenwood KT 917 Tuner. A very interesting and suberb couple. 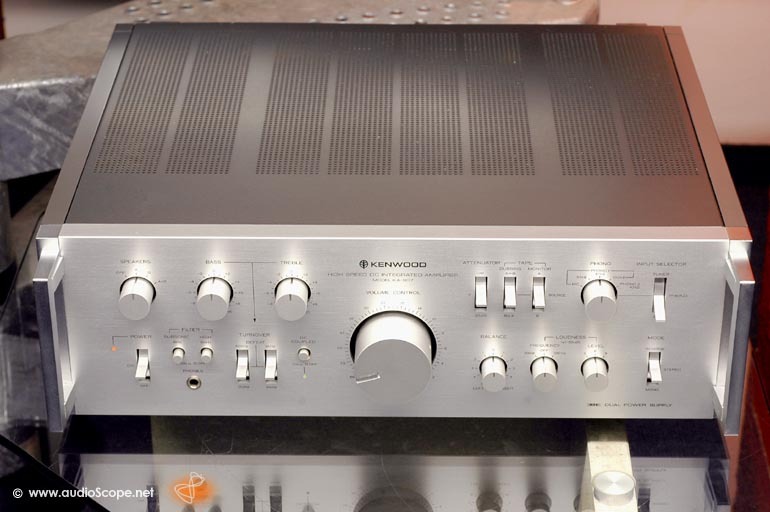 This unit features strict dual mono construction with 2 transformers. 180 + 180 watts into 4 Ohms, 150 + 150 watts into 8 Ohms. 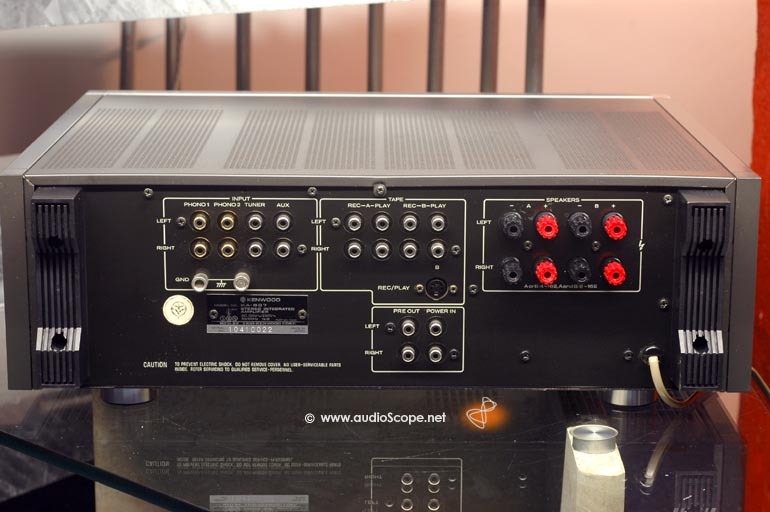 2 Phono inputs, 2 tape loops + aux and tuner connections. 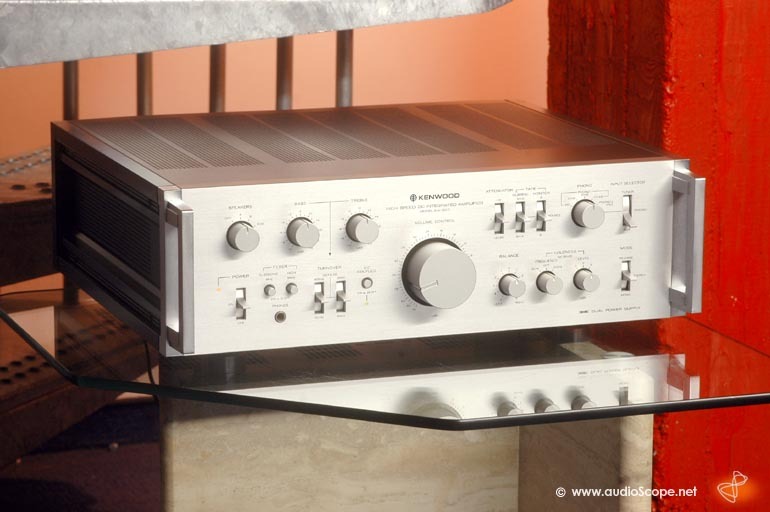 The preamplifier can be separated from the power amplifier. 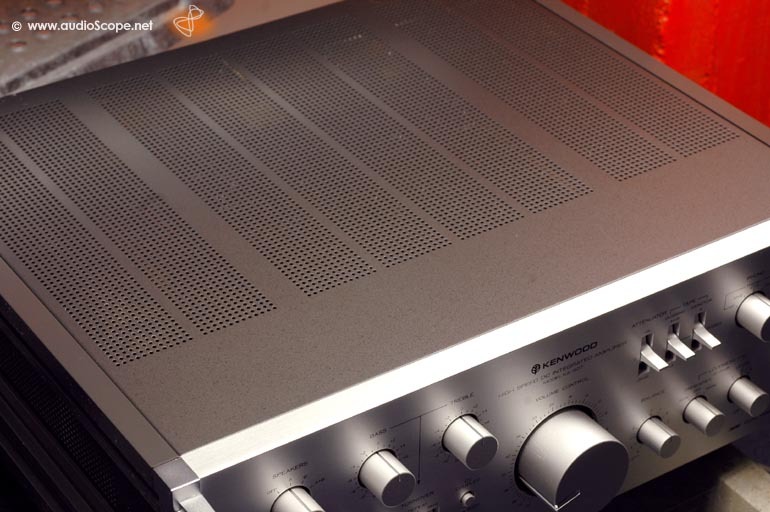 2 pair of speakers can be driven. The optical condition is near mint. The unit has been cleaned and aligned. There are no signs of usage, just light wear on top. 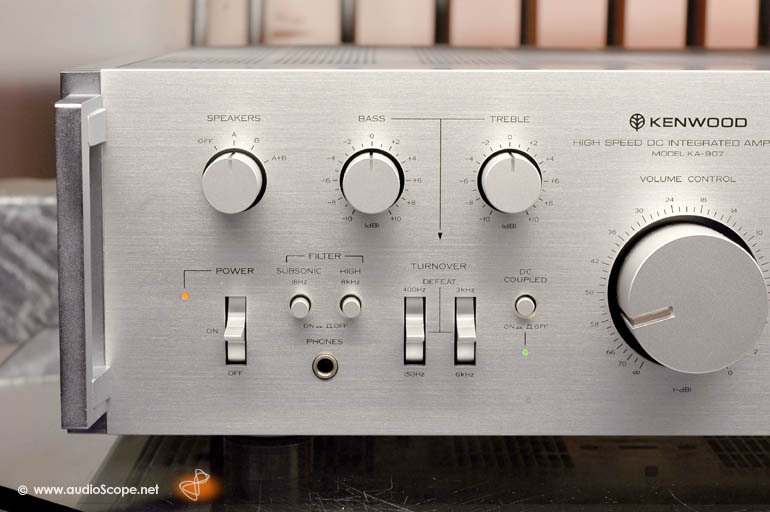 A real straight and fast amp!